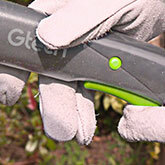 Whenever GTech release a new hedge trimmer I always pay attention because they have a reputation for delivering a great product. I’m pleased I did. 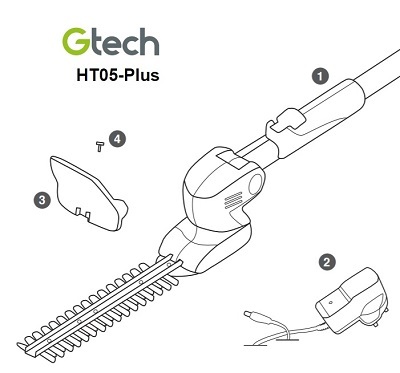 This GTech HT05 plus hedge trimmer looks promising. If you’re looking for an independent and impartial review of this latest GTech hedge trimmer, you’re in the right place. 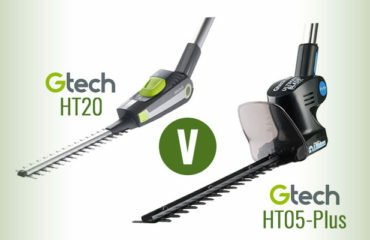 GTech’s latest offering, the new ultra lightweight HT05 Plus hedge trimmer is a fantastic piece of kit and all for under £100. It’s comparable to the GTech HT20, but has a few differences. The HT05 version is lighter, allows you to reach higher hedges but doesn’t cut through as thick branches. 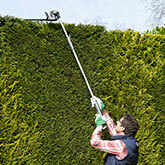 The HT05 provides a 1.7m extendable, telescopic (slides in and out) shaft for those high hedge tops. The blade is 24cm long. This is the ideal solution if you have high edges and do not want to use a step ladder. Being lightweight (1.7kg) means you’ll have no issues lifting it. A 14.4v battery delivers up to 45 mins of use from a 3 hour charge, allowing you time to ease your way through the hedge cutting with the 1.7kg, ultra lightweight body it’s easy on the arms. No more arm ache and taking forever to cut the hedge. Breeze through the task in next to no time. 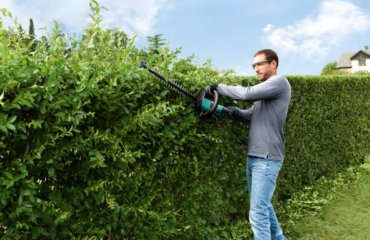 With a single hand safety and power trigger fitted, you can easily and safely cut your way through those bushes and hedges in no time at all and little effort. You won’t accidentally switch it on or if left lying around, neither will children be able to use it easily. The head can be angled for high and low use, so no more backache from bending over. 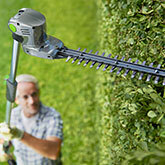 DIY garden enthusiasts love the lightweight feel of this GTech hedge trimmer. They loved not having to go up and down ladders, especially elderly people who found they had the job done in half the time. 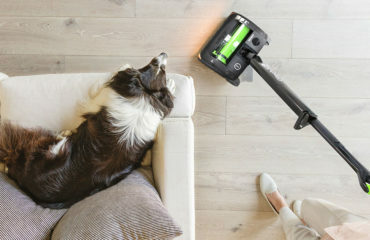 Being cordless make it easier to use and safer. 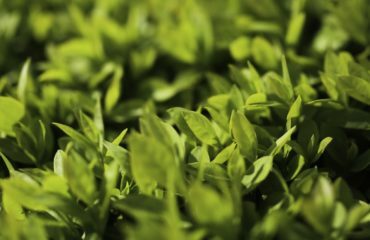 Move quickly around your garden with no restrictions or a tangled mess. Like what you’ve heard so far? Check out the HT05 Plus in action. 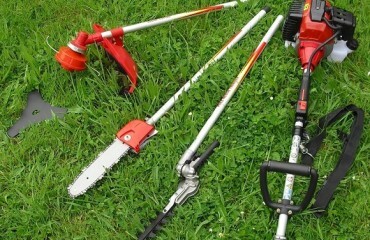 This HT05 hedge trimmer is a fantastic buy for the price. For only £99 you get a long reach, cordless electric power tool that will deliver a great finish to your garden hedges and bushes. 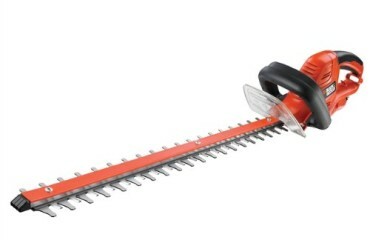 If you’re after a trimmer that will take on larger branches (up to 15mm instead of 12mm), I’d recommend checking out the HT20 which is a more powerful hedge trimmer and you can buy the optional add on to cut branches, too. Note: This is not suitable if you have very large and long hedgerows to cut through. It’s designed for small to medium sized gardens. 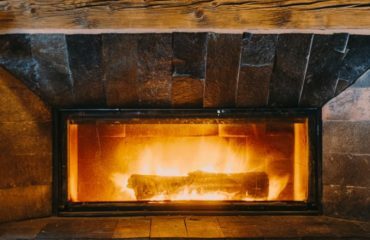 Check out the specifications and have a think if it would be suitable for your needs. If you want to trim small to medium sized hedgerows, this is a perfect tool to use. It’s easy to store, reliable, cost effective and has no cords! I’d recommend buying direct from GTech. They are trusted, reliable and UK based. They offer a 1st class customer service experience. Click here to Learn more at GTech. 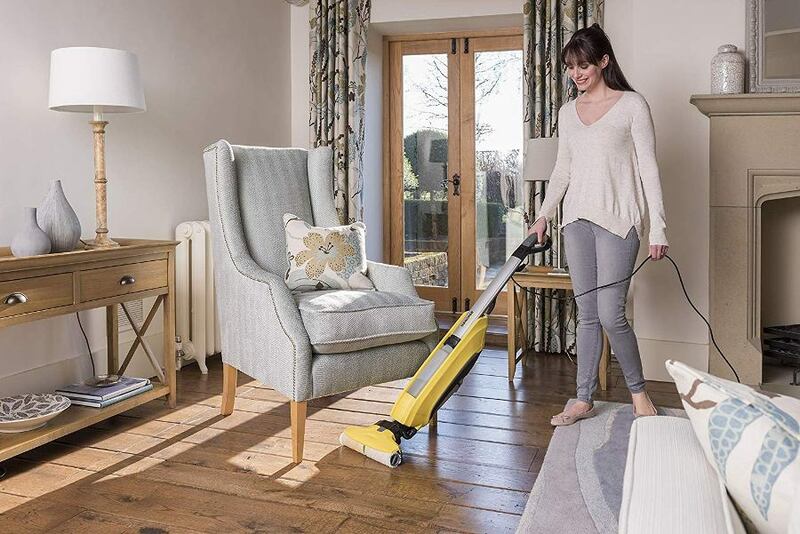 FREE next day UK delivery | 1 year warranty…It’s a risk free purchase. 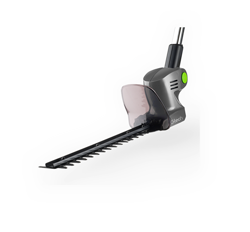 An ultra lightweight, adjustable and efficient hedge trimmer that is ideal for cutting high hedgerows and low bushes when you're on a budget and for occasional home use. 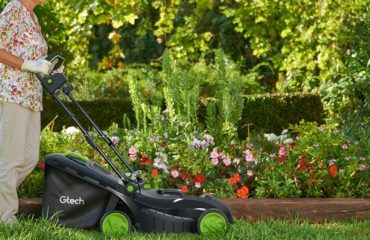 The HT05 is part of a range of cordless electric garden power tools that GTech have done an excellent job of creating. 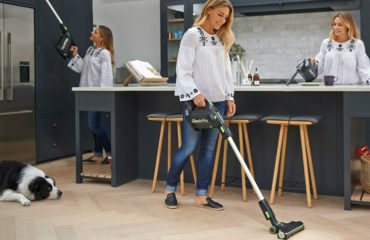 I’d highly recommend that you check out my review of the latest cordless GTech mower, the ST20 cordless strimmer and the electric hedge trimmer. 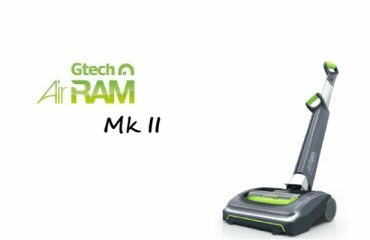 You can view the full range on GTech’s site, too.